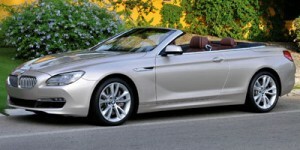 Luxury car buyers want to know that they’re making a good investment. That means taking into account how well the vehicle they buy will hold its value over the long term, typically five years. 2013 Lexus GS 350 – Best Luxury Car – The fourth-generation 2013 Lexus GS 350 is more than just a well-designed and high-quality midsize luxury car. It is also expected to more than hold up well for an ownership period of five years. Significantly redesigned on the exterior and interior, virtually every major mechanical element of the new GS 350 was also revised. Although there’s no V8 offered, and some reviewers complain that the transmission isn’t as refined as that of some of the GS 350’s rivals, this still doesn’t detract from the GS 350’s overall appeal. Well-rounded, impressive handling, and providing the right mix of luxury, performance and value, the 2013 Lexus GS 350 has a three-year resale value that’s at 63 percent of its original value. At 60 months (five years), the resale value is projected to be 47.0 percent. interior of the A5 is also a stunner, luxurious, comfortable, functional and contemporary. Bavarian craftsmanship and engineering are amply on display, as well as the fun-to-drive quality that cannot be underestimated in a luxury car of this class. The A5 coupe is equipped with standard all-wheel drive, which sets it apart from many competitors. Resale value at 36 months is estimated to be 62.2 percent. 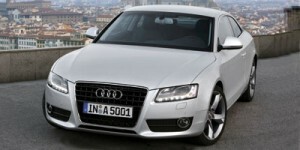 At five years or 60 months, the 2013 Audi A5 should be approximately 41.8 percent of its original value. As for predicted reliability, J.D. Power and Associates ranks the 2013 Audi A5 at five circles, or among the best. 2013 BMW 6-Series – This upmarket BMW model is considered a large grand-touring coupe. Considering all the extras that are included with the 2013 BMW 6-Series, the car is extremely well-equipped to satisfy most discerning needs for sporty luxury that also excels in providing creature comforts, technology that’s advanced, and a look that says, “I matter.” The 6-Series is also pricier than many rivals, with a starting MSRP of $76,000 for the 640i. Want more safety and high-tech? Opt for the heads-up display, LED headlights, rear-view, top-view and side-view cameras, integral active steering, and night-view cameras with pedestrian detection. Resale value is strong, too, coming in at 53.1 percent at the three-year mark and 37.1 percent at 60 months (five years). If you’re in the market for a 2013 luxury car that’s expected to hold its value in 2018, definitely take a look at these three.